The release of both mobile OS’ happened in the same quarter of the year 2014 that continued the ever running mobile OS battle between Apple and Google. At some point both of the operating systems, displays similar high-tech advancements concerning security, display, media and camera, although have distinct ways to deliver these features. For example, both operating systems provide ‘smartphone personal assistance’, but through different apps, like Android have ‘Google Now’ while Apple has ‘Siri’. These advancements show their potential to win the mobile OS clash, but in the end only one is going to win. For now, Android Lollipop seems to be winning over iOS 8, Why? Here are some advancements of Lollipop that fades away the iOS’ charm. 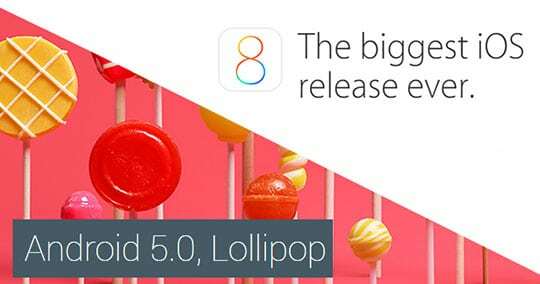 A recent report from Crittercism reveals that Lollipop 5.0 is more firm than iOS 8 as applications running on Lollipop crashes less than apps running on iOS 8. This report shows that iOS 8 crashes at a rate of 2.2%, while Android Lollipop crashes at a rate of 2%. The data clarify that Android Lollipop is obviously a better choice than Apple’s iOS 8. Both iOS 8 and Lollipop supports 64 bit operating systems running on 64 bit hardware. But Android Lollipop has included a system called ART runtime that is newer, faster and delivers high performance. This runtime system is capable of doing ‘ahead of time’ compilation to enhance mobile app performance. iPhone and iPad are equipped with Touch ID that is made to unlock iOS devices with a tip of your finger, but sometimes Touch ID incorrectly rejects the biometric fingerprints and blocks the device. Later, you have to regain access via alternative PIN verification method. This situation often creates trouble for a user, especially the non-technical one. While Android 5.0 has included a cool new feature which is able to unlock your phone with a paired Bluetooth device. This modern feature is very useful and easier comparatively to iOS 8’s Touch ID. There was a time when we all used Nokia phones with basic phone setting features like alarm, ringtone, language etc. It was easy to locate them into setting menu, but then smartphones arrived with lots of features. Gradually, it became difficult for a normal user to find the desired setting preferred from a long list of options. Android Lollipop finally came up with a solution, it provided ‘search in setting’ alternative that lets you search setting options without any problem. On the other hand the latest version of the Apple mobile operating system “iOS 8” doesn’t have this type of useful functionality. 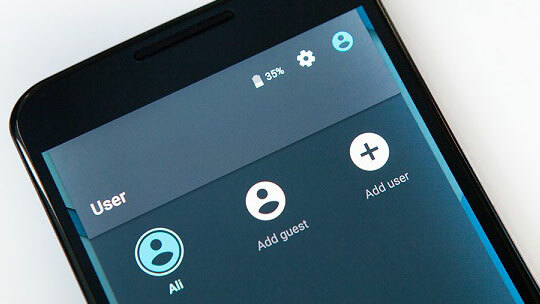 Guest mode is one the most useful features of Lollipop that keeps your data private when you share your Android device (smartphone, Tablet) with your family or friends. All you need is to switch to guest mode before you share your device. This feature doesn’t keep any record of the guest to save the valuable phone memory. 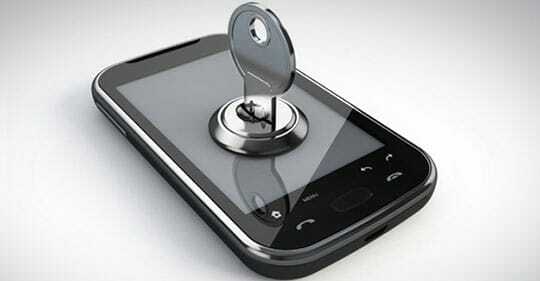 You can also restrict a user from making phone calls while using the phone on guest mode. On the other hand Apple iOS 8 still doesn’t have this awesome feature on its mobile devices which is very strange. Battery is the life of a smartphone and it need to be used carefully, but there are so many apps that keep killing the life of your phone. To recover from this situation Android Lollipop introduced a battery saver feature that uses Project Volta technology. It restricts the background tasks & shut down unnecessary processes that eat your phone’s battery. This feature also tells you how much time it will take to charge your mobile device. Apple is yet to add this feature to iOS as it is very necessary to keep an eye on battery life. Both iOS 8 and Android Lollipop has features that lets you stop notification, SMS, calls etc. However, Lollipop 5.0 offer different customization along with this feature like you can stop the notification, events and reminders for one hour or you can block only the calls. While on iOS 8 it’s like all-or-nothing, either you can block all the notification, calls and SMS or you can allow them all. Android allows you to install apps from third party sources (with a caution of potential harm from malware and viruses) while on Apple devices you can’t install apps from anywhere you want. You can only use Apple’s itunes store to download & install applications. Although, this feature is not new that is brought by Android Lollipop, the previous version of Android also allowed to do this. In an Android device you can do many things with applications after installing it such as you can uninstall it completely or just uninstall the updates. You can also choose third party apps to become default browser, photo editor, etc. On iOS 8 you can’t choose third party apps to become default applications of your smartphone, it limits your choices and force you to use inbuilt apps even if you don’t want to use them. 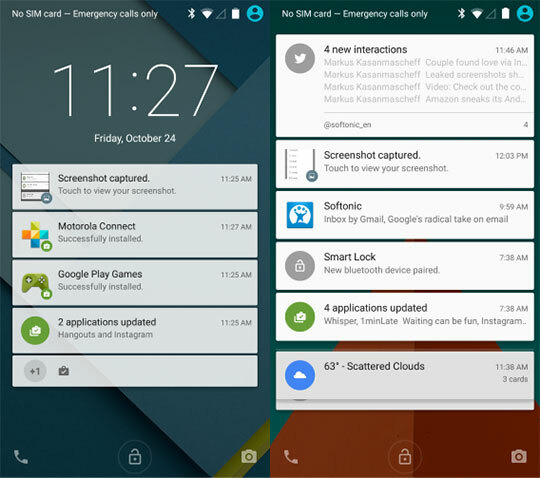 Notifications in Android Lollipop are smarter than iOS 8. Android has refined its way of delivering notifications with quicker shortcut commands. Also, notifications are sorted according to their importance which is a great feature that lets you see significant messages first on the upper side of the bar. iOS 8 offers a proficient camera, but does not provide manual photo features and 4K video recording. While Android Lollipop is equipped with a camera which captures pictures in raw formats such as Bayer RAW. It also captures Meta data like optical information, noise models as well as 4K video recording and playback. Since Apple released its latest mobile OS, tech geeks have been criticizing iOS 8 calling it the buggiest release of apple. Also, it lacks many features that Android Lollipop can boast of. This article lists various advancements that are missing in iOS 8 and needs to be there in upcoming version of iOS. But for now, Android Lollipop has won this battle as it offers extraordinary features a 21st century smartphone could ever have. This article is written by Gaurav Sharma. He is a founder of Antipull & Redesign Case,  a Digital Strategist at Nine Hertz and an Online Marketing-Tech writer. He has expertise in SEO, ASO, CRO, PPC and other parts of Online Marketing fields. He is an enthusiast and love to explore new stuffs. Follow him on Facebook, Google+ and Twitter.